For our companion piece on this style, Let’s Talk Beer Styles: Belgian Quad, simply click here. It’s fascinating, the way one’s perception of a specific beer style will change over the course of a large blind tasting. This is something we at Paste have been cognizant of ever since we started regularly doing our tastings blind with American IPA back in 2015 (soon to be repeated! )—the fact that our overall opinion on a beer style will probably be shifted to some degree by the process of processing and evaluating so many. This time, however, my perception of a style changed before we even began tasting. What kind of beer do you imagine, when someone says “Belgian Quadrupel”? High ABV, certainly. Fruity, almost always. Viniferous, often. Spicy, sometimes. Right? But how about “Belgian strong dark ale”? If you had asked me this a month ago, I would have started off by at least confirming that these are two different styles. But pressing further, I would have run into a wall. Of those basic flavor descriptions above, which would be applied to quads but not to Belgian dark strong ales? What does it even truly mean to be a quad? In the traditional Belgian sense, does that beer have to be somehow connected to the monastery or trappist tradition, i.e., does it need to be coming from a brewery that also has a singel, dubbel, tripel, etc? What of American quads, which play much faster and looser with the style? Ultimately, it was a realization that we needed to broaden our terminology. 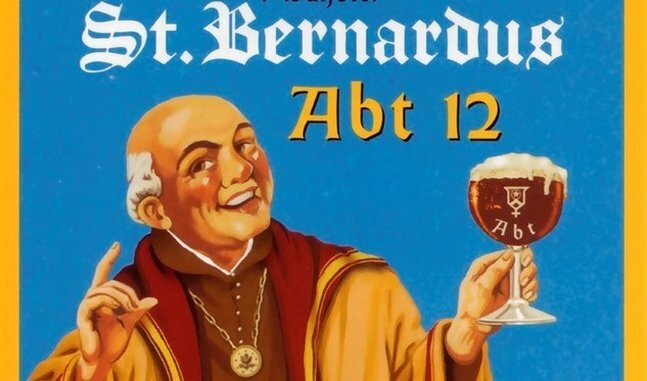 Hosting a “quad tasting” simply didn’t make sense—not when you have the likes of St. Bernardus Abt. 12 defined as “quad” and Chimay Grande Réserve (Blue label) defined as Belgian strong dark ale. In the modern beer landscape, the two names boil down to marketing tools more than anything else—an American brewery in particular is going to name its beer whatever they think will appeal most to the drinker—be that quad or “dark Belgian ale” or anything else. Any specific difference implied by the choice of name has long ceased to be relevant. Like every other blind-tasting at Paste, we acquire these beers in a variety of ways. Most are sent in directly by the breweries when we send out a call for that style. Others we’re able to purchase directly because they’re available in Georgia, which is how we came by most of the Belgian ales on this list in particular. In that sense, we’re at the mercy of what is available. One decision we specifically made in tasting quads was to allow ALL VERSIONS of this style, regardless of how they’ve been treated or aged. That includes barrel-aged offerings, which I know many will object to in the comments. We could have attempted to conduct a tasting of “only regular quads,” but in a style that classically is treated with spices and sometimes aged in oak, what is regular? If a nontraditional spice such as cinnamon or chiles is present, would that disqualify the beer? Nor do we agree with the assumption that just because something is barrel-aged it will inherently be superior. In fact, the tastings provided several instances of the opposite. We don’t have any. Feel free to leave a haughty comment about it. Some of us have tasted it before, and it is indeed delicious stuff. We’re sure it would probably do quite well in these rankings. Now let us never speak of Westy again. Alright then. - We accepted anything sent to us, as long as it involved “quad” or “Belgian dark strong ale” in the description, or was categorized as such. There was no ABV limit, as this style is all over the place. - There was a limit of two entries per brewery. The beers were separated into daily blind tastings that approximated a sample size of the entire field. - Tasters included professional beer writers, brewery owners and beer reps. Awesome, Paste-branded glassware is from Spiegelau. - Beers were judged completely blind by how enjoyable they were as individual experiences and given scores of 1-100, which were then averaged. Entries were judged by how much we enjoyed them for whatever reason. As I almost always say in this section, there’s nothing at all wrong with most of these beers. In fact, a lot of them got very impressive scores. As we grade on a 1-100 point system, I’m pretty sure that I’ve never seen so many 80s and 90s in general, and I’ve certainly never seen so many beers with 80s or 90s on individual score sheets not end up in the top segment. We all know that these high-ABV styles tend to draw high scores, and that was certainly the case here. There were lots of good quads on the table each day, so I wouldn’t write off any of these beers. They’re presented below in alphabetical order, and as such they are not ranked. I repeat: These beers are not ranked.